What an emotional and engrossing series finale for Person of Interest. For a show that initially began as a typical procedural, it certainly evolved into something much more rich and complex. 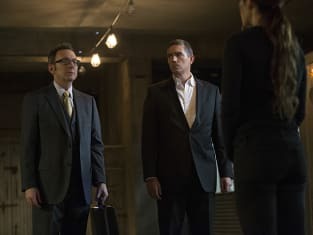 But even as the stakes continued to be raised each season and the mythology expanded, at its heart were the characters, and that was evident throughout Person of Interest Season 5 Episode 13. 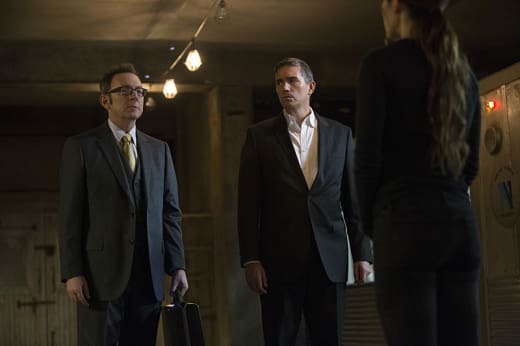 Finch, Reese, Shaw, Carter, Root and Fusco grew from their initial introductions on the series as they struggled with their inner demons, tried to find purpose and even sought redemption. They were characters worth caring about and following through their journey. And of course, the members of the POI team were willing to put their lives on the line to save people, even if it was just one at a time. Sure, Samaritan was the biggest threat they faced, and saving the world was high on the list for the team, but it was those smaller moments between the teammates themselves that shined through. The Machine telling Shaw what Root probably would have wanted to say was touching, especially with hearing the voice of Root. Shaw’s always been so cold, but even as she shed the slightest tear, she was able to hear it was OK that she didn’t necessarily feel like everyone else. I never doubted Shaw wasn’t grieving the loss of Root, but it was a nice moment between the two even after Root’s death. Shaw even did get some revenge, though I did wish the Samaritan agent was a bit more memorable. But the most affecting and heartbreaking sequence was when Finch learned that Reese was going to sacrifice himself to stop Samaritan. And that was right after the emotional scene where Finch prepared to sacrifice himself first. Reese has never talked much, and he still managed to get a few quips in during the hour, but listening to him on the rooftop explaining about his deal, about saving Finch, knowing he was going to die doing some good was a gut-punch. And seeing Finch’s distressed reaction that Reese was taking his place while the Machine explained her “pearl of wisdom” added to the moment. These two started out as employees, but they became friends, and the care and concern from both ends was evident. Their friendship made their goodbyes, and also Finch’s goodbye to the Machine, that much sadder. On top of that was the Machine’s point that if you mattered to someone, even just one person, you’re never really gone, never really dead. You get to live on in a way. Life is truly precious, and the POI team did everything they could to help save lives, to make a difference. And even amongst themselves, they mattered to each other. It was never really a doubt that Samaritan would be defeated, though the cost of the win was certainly up in the air, and that made for an engrossing watch to the very end. Even the disjointed narrative structure by jumping around between time was a nice way to keep the tension high and us guessing as to how it would all end. 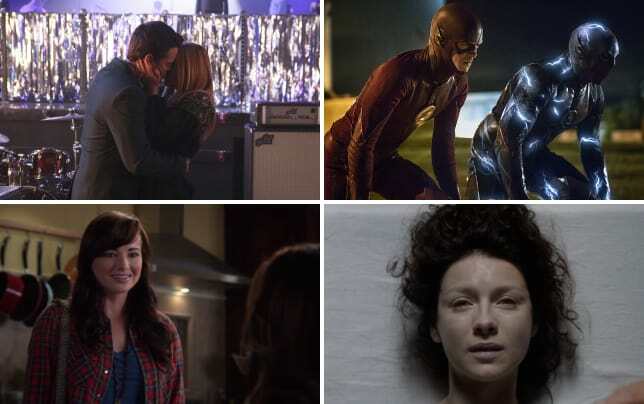 The score of the episode, which really enhanced those action-oriented moments and those emotional ones, was standout, as were the performances from the cast and the writing and directing. They really brought it home in this last episode. Of course, seeing Finch finally unite with Grace was a sweet icing on the cake, and I’m glad that Fusco wasn’t killed off just for the sake of being killed off. In concluding the story with Samaritan, there was a real sense of closure for the characters and the series. I couldn’t help but grin as a duplicate Machine booted up and Shaw was there to answer the call. The finale delivered a satisfying ending to a smart and engaging show that became so much more than just a case-of-the-week ordeal. It brought the action, it tugged on the heartstrings, and it gave us characters worth investing in. Person of Interest was definitely a gem of a show that got to go out in fantastic fashion. What did you think of the finale? Was it a satisfying ending? Sound off below, and see it all again when you watch Person of Interest online now! What I couldn't have anticipated was that you would become such a good friend. Permalink: What I couldn't have anticipated was that you would become such a good friend. I like this new side of you Finch. It's terrifying, but I like it. Permalink: I like this new side of you Finch. It's terrifying, but I like it.